Oi, Meninas e Meninos lindos! Tudo bom? Sabe aquele look chique mas ao mesmo tempo super despojado? Que deixa você exuberante e que, algumas vezes, apesar de sofisticado, é igualmente simples, elegantes e bonitos? Pense em looks para passear no shopping, no cinema, no parque, para ir ao happy hour... Pois bem, vasculhando o site StyleWe, encontrei modelos lindos de roupas com duas peças. que poderão ser usados nas mais diversas ocasiões. Selecionei nesta Wish List de 12 looks com duas peças, conjuntos de blusas e saias que compõem vestidos para ocasiões formais ou informais. 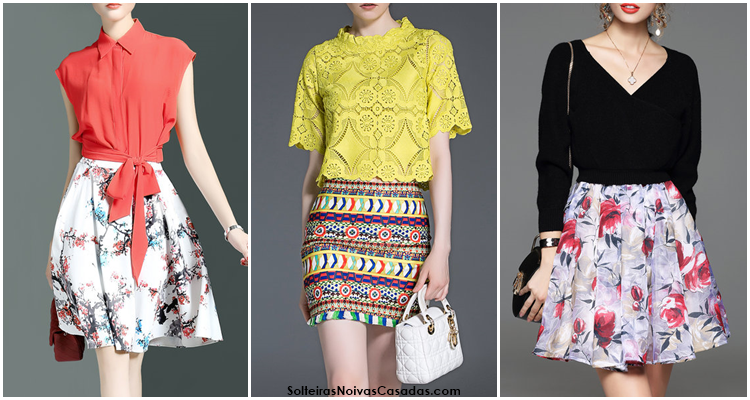 São looks descolados, chiques e muito bonitos para todas as idades! Vamos conferir as peças da StyleWe, Gente? Dentre estes modelos, eu fiquei super apaixonada pelo conjunto de blusa preta com saia estampada com flores. Hi, Girls and Boys gorgeous! It's OK? You know that chic look but at the same time super stripped? That leaves you lush and sometimes, though sophisticated, is equally simple, elegant and beautiful? Consider looks to walk around the mall, the movies, the park, to go to happy hour ... Well, scouring the StyleWe site, I found beautiful clothes models with two parts. that can be used in various occasions. 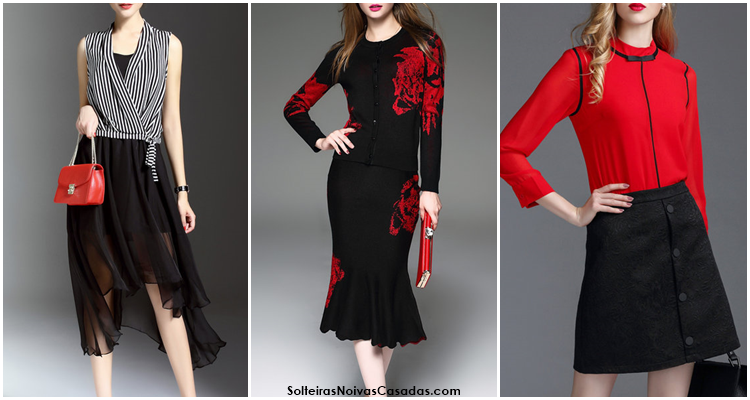 I selected this Wish List 12 looks with two piece dresses sets of blouses and skirts that make dresses for formal or informal occasions. They are funky, chic and beautiful looks for all ages! 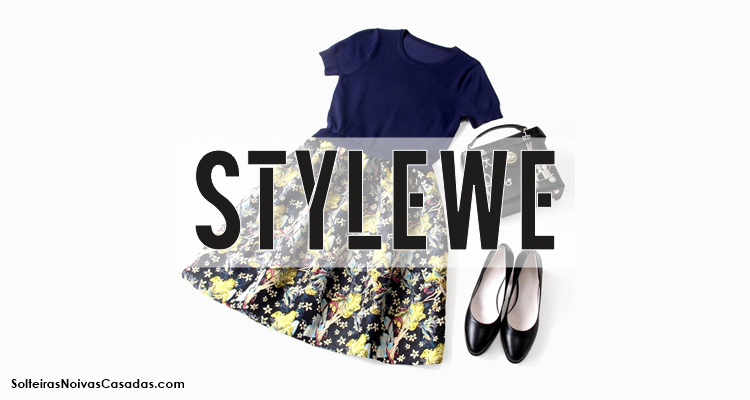 Let's check the parts of StyleWe, People? Among these models, I was super passionate set of black blouse with printed skirt with flowers. Se eu tivesse o corpo da modelo 2, com certeza, eu usaria este junto. If I had the body of model 2, for sure, I would use this together. O segundo e terceiro looks eu aprovo sem distinção! The second and third looks I approve without distinction! Achei bem original este primeiro conjunto de blusa listrada com saia preta. O terceiro conjunto também é lindo! I found very original this first set of striped blouse with black skirt. The third set is also beautiful! O que acharam da seleção? Qual peça mais gostaram? Sigam a loja no Instagram: https://www.instagram.com/stylewe/ e curtam o Facebook: https://www.facebook.com/stylewe/ para ficarem a par das novidades e tendências fashions! Mil beijos e que Deus Vos Abençoem! What did you think of the selection? Which piece you like most? Follow the store on Instagram: https://www.instagram.com/stylewe/ and enjoy the final Facebook: https://www.facebook.com/stylewe/ to stay abreast of news and trends fashions!